The term ‘fire in the hole’ means that something is about to explode. This song is really not the happiest among songs. Initially this was a test for my new AKG C-414 microphone. Composed, recorded and mixed in a few hours it was quite an awful piece of work. This weekend I took the time to do some more experimenting and as a result all of the guitar parts, except for the solos were re-recorded. I also redid the bass-parts and remixed the whole thing. 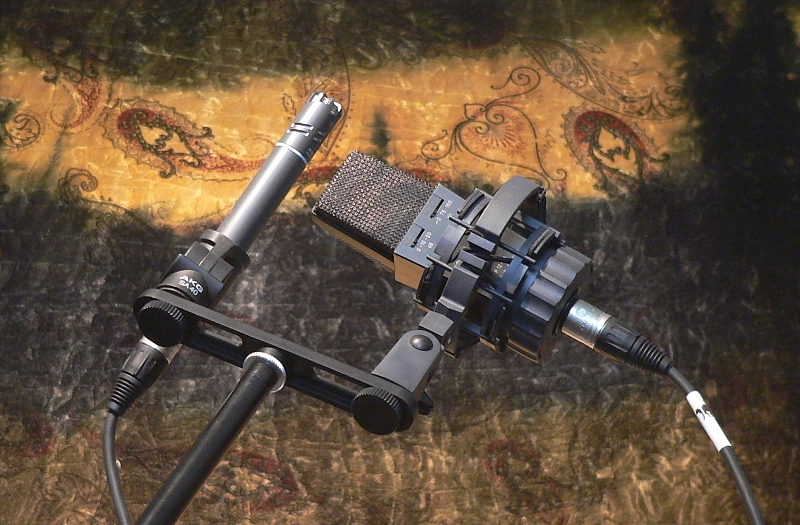 The guitars are now recorded using an AKG C-414 TL and an AKG C-391 (both a CK-91 and a CK-92 capsule was used) in an M/S-pattern. This gave a better and more natural sound to the guitars without the need to double. A few backing parts are recorded only using the C-391. I used the built-in preamps of the Motu 828 for recording the guitars. The vocals are recorded using the C-414 using a Presonus Eureka with some moderate eq and compression. The vocals are processed using the Aphex 104 for more clarity as they are quite compressed in the mix. The vocals are using a Roland SRE-555 monodelay (rackmount RE-501). The bass is recorded thru a Focusrite tonefactory with both buzz, fuzz and eq enabled. The tonefactory is good for bass really. The bass is postprocessed using an Aphex 104 “Big Bottom”. All the percussions are recorded using the aforementioned mics. Mixing was pretty straightforward and conventional. The vocals were sidechained to the guitars for more “visibility”. Vocals are, as usual, compressed to be in your face. Otherwise just the normal stuff, both UAD and PowerCore-plugins. Ask if interested in details. Composed in 2009, this tune was first made up of three acoustic tracks: vocals, guitar and percussions. Later it was spiced up with some whistling, backing vocals and a bassline. The most important addition though was the violin, played by my workmate Jani K. It added a more real country-feel to the whole thing. The percussions are played using some fruits and a dishbrush-bongo -combo. This is a very straightforward acoustic mix with only acoustic instruments played live. Almost everything is tracked using the Presonus Evreka, except for the bass-guitar which is tracked using a Focusrite channelstrip. The mics used here are an AKG C-414 and an AKG C-391. The reverb is a Great British Spring -springreverb.